Dual Dancing Stingers come conveniently rigged with 2 hooks to be rigged on most any vertical style jig. 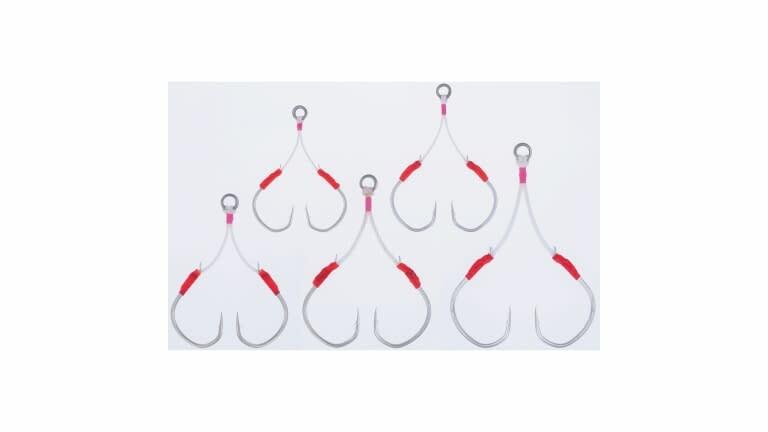 The Junior version are made with high carbon steel hooks, and the larger Guardian style rigs are constructed from Zo-Wire. The points on these hooks were designed to curve in slightly so they are protected against prolonged banging against jigs. 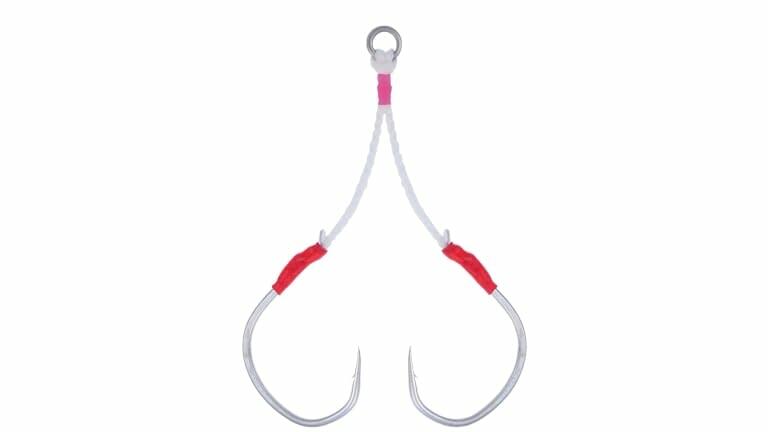 Both versions include snelled knots to promote efficient and positive hook sets. Fluorocarbon is threaded inside each arm to discourage hooks fouling on each other.